Why don’t more games have a Big Head Mode? This needs to become a thing again. 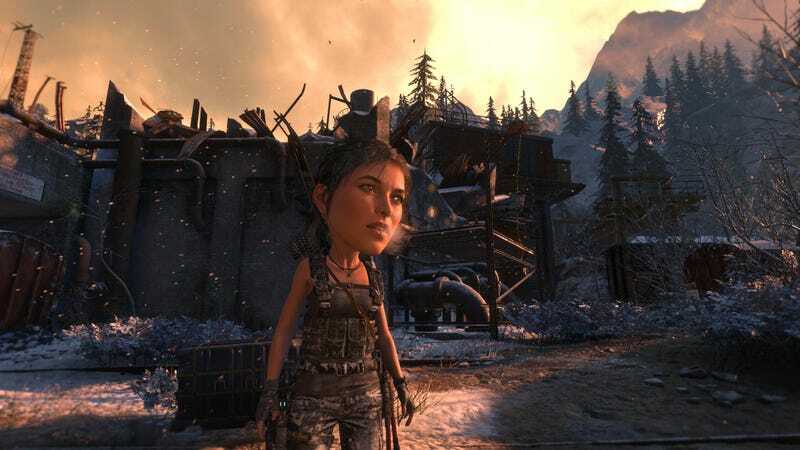 You can only activate Big Head Mode in Rise of the Tomb Raider’s “expeditions” side challenges, which let you replay various levels from the game with unusual modifiers and gear. You can only play with Big Head Mode there, and only if you get a card that lets you turn it on. If you get such a card, you should absolutely use it. That one’s cool, but not as cool as Big Head Mode. Generally speaking, I’ve found Expeditions to be fun if inessential. Endurance Mode, which pits Lara against the elements (and which you have to pay extra for), is by far my favorite of the various options. I wish there were a whole game based on it, with multiple levels and more modifiers and objectives. Forget this whole “story” thing, Crystal Dynamics! Just give me a whole game based around hunting treasure and helping Lara Croft survive the elements in semi-randomly generated maps, and I’ll be good to go. Be sure you include Big Head Mode.